ANOTHER VICTORY FOR ANTHONY GANGI JR. 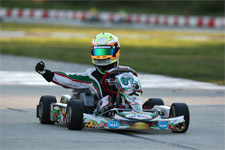 Returning to the Ocala Gran Prix, site of his recent victory during the 2015 Cold Stone Florida Winter Tour, top karting pilot Anthony Gangi Jr. would again be the driver on top of the podium. 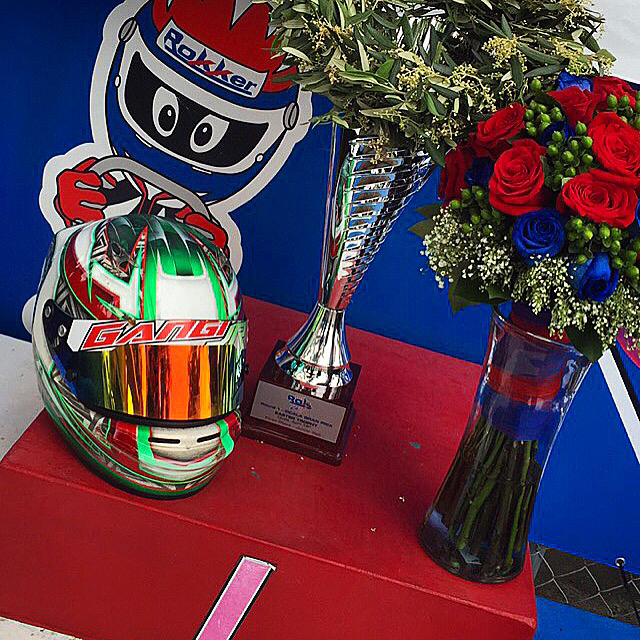 Taking on the opening round of the 2015 ROK Cup USA series, Gangi Jr. was near the top of the time sheets all weekend and came home the victor in the ROK Junior category. Teaming with the potent Ocala Gran Prix squad for the event, Gangi Jr. would have a wealth of knowledge on his side from the home track team. 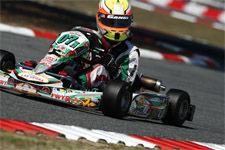 Taking on qualifying Saturday morning, the multi-time karting champion clocked eighth overall in the Junior class. With three heat races to follow, Gangi Jr. would progress forward in all three, earning second place results in all three wheel-to-wheel races. Starting on the tricky outside row one for the 17-lap prefinal, the GT7 Motorsports driver fell back to the third position. Now on the inside preferred line for the start of the 25-lap final, Gangi Jr. used this to his advantage, as he was able to make his way to the point on the opening circuit. Holding the lead lap after lap, Gangi Jr. surrendered the position just after the halfway point. 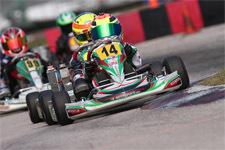 Staying close to the leader, Gangi Jr. battled for position and was able to retake the lead, cruising to a yet another victory at the Ocala Gran Prix. 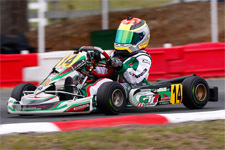 Gangi Jr. was also credited with the event record in the ROK Junior class, with a lap of 37.229 seconds. 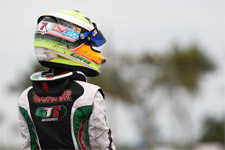 Anthony Gangi Jr. will next be back on track this weekend for the opening round of the 2015 United States Pro Kart Series at the GoPro Motorplex in Mooresville, North Carolina. 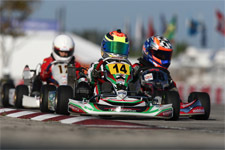 Running the Leopard 125 Junior class, Gangi Jr. will look to continue his winning ways in yet another race series in 2015. Anthony Gangi Jr. would like to thank tuner Cody Johnson, Nate Grindell, Mike Speed, Alex Speed, Mario Ioffredo, Jorge Arellano and everyone at OGP, as well as sponsors GT7 Motorsports, Millwork Solutions, Hole Shot Drive Systems, PKT, and Hot Head Engine Preheaters.